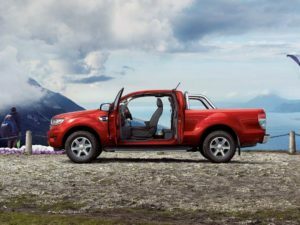 Experience the Ford Ranger Wildtrak with a 48-hour test drive and with 0% APR representative! From now until the 30th June 2019 enjoy 48 hours driving in the mighty Ranger Wildtrak, available with 0% APR representative on Ford options. Discover smart technologies such as Trailer Sway Control and Adaptive Cruise Control in a Pick-Up that can handle whatever you throw at it. *Excludes New Ford Ranger. Subject to status and availability until 30th June 2019 at participating Ford Dealers. Must hold a full UK or EU driving licence for over 12 months. Must be over 21 years of age. Insurance excess: £500 or use own insurance. Licence endorsements: clean licence only or must be on own insurance.